Isn’t it amazing? 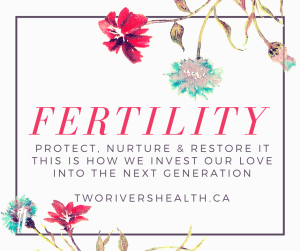 Before they are even conceived, your children’s and grandchildren’s health will be influenced by your (and your partner’s) state of health today. This fact inspires me every day to invest in the health of future generations by helping couples improve their health naturally and live their dream of conceiving a healthy child. Visits are covered by most extended health benefits plans. Dr. Cherevaty is a licensed Naturopathic Doctor (ND) and Registered Acupuncturist (R.Ac). Contact us with any questions or to book your free, 15-minute meet-and-greet visit. We are excited to help you begin or continue your natural fertility journey!